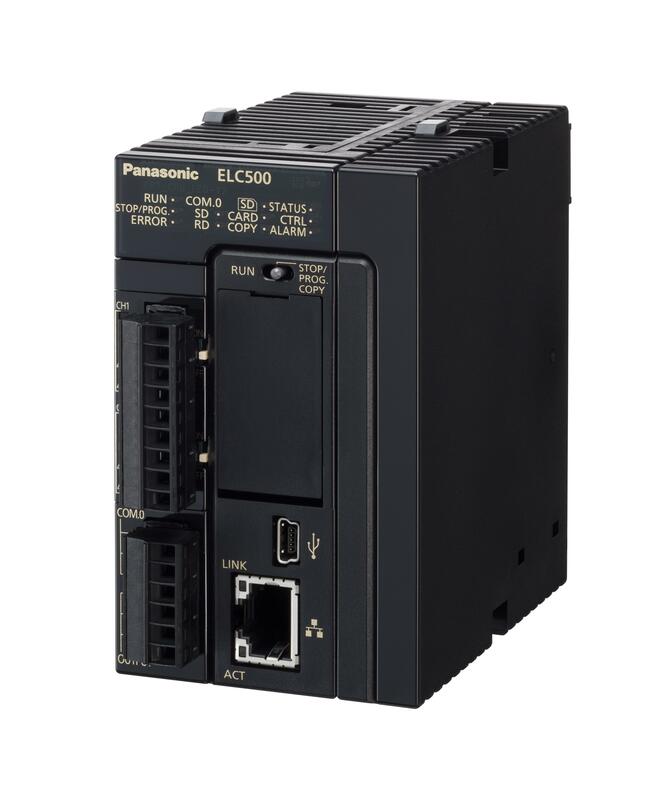 Osaka, Japan - Panasonic Corporation started mass production of the Control Unit ELC500 from September 2018. This product collects and stores energy use data and equipment operation information through Ethernet and easily enables their visualization. It allows the incorporation of IoT in factories and equipment to help optimize energy use and improve productivity. With the globally accelerating progress in the dissemination and development of IoT systems, production sites are increasingly eager to collect, store, and visualize energy data and data from sensing devices to help contribute to resolving management issues. 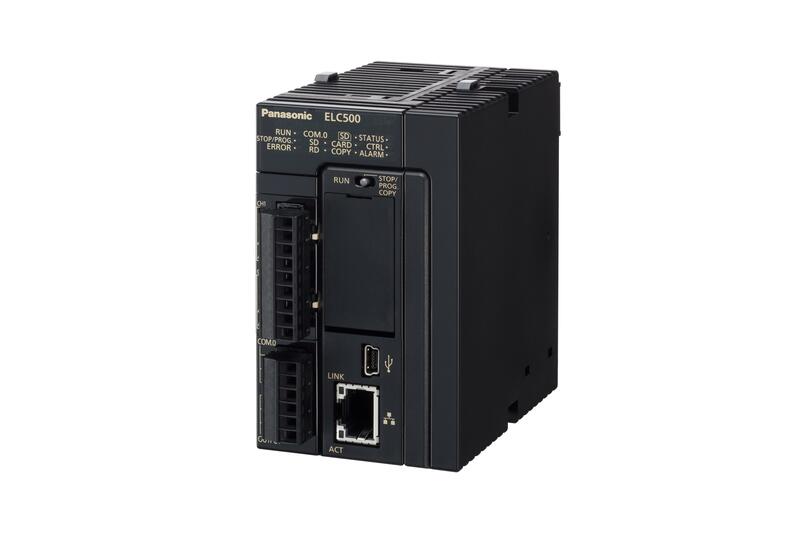 In response to the need to incorporate IoT at manufacturing sites, Panasonic has commercialized the Control Unit ELC500, which easily collects data via Ethernet (*1) and enables remote equipment monitoring using Web servers. This product is compatible with the demand control overseas as well as in Japan. *1 Ethernet is a registered trademark of Fuji Xerox Co., Ltd. and Xerox Corporation in the U.S.
Panasonic's conventional products: The Web server function requires a programmable controller (Product Number: FP7). Panasonic's conventional products: Only compatible with constant-cycle demand. By using its own unique algorithm, this new operability (UI)-conscious product collects data at high speeds from terminals (power meters, sensors, and others) connected to multiple communication paths and also enables logging operation. It does not require dedicated programs and enables settings using the PC software "Configurator EL500"(*2),; thereby reducing the time required to produce and verify programs (*3). *3 Reduces the time required to produce and verify ladder programs using programmable controllers, etc. The Web server function enables the real-time monitoring of equipment and devices and remote monitoring using smartphones, tablets, and PCs. In addition, the use of an optional tool (*4) (sold separately) allows even users without HTML knowledge to easily design web content that can link with the ELC500's information. For example, arbitrary web content can be produced by arranging web parts such as switches, lamps, and meters on the screen and setting properties. *4 The drawing tool Control Web Creator released for the ELC500 (Available for free as a download from Panasonic's web page. Member registration is necessary) and the license key unit of the Control Web Creator. Compatible with the demand monitoring/control in Japan and overseas, thereby contributing to the promotion of factory energy saving around the world. Also compatible with the gas demand monitoring/control in Japan. Its compatibility with the demand time span monitoring used overseas, in accordance with the IEC 61557-12 international standard, in addition to its compatibility with constant-cycle demand (30 min) enables widespread use at factories around the world. The significantly shortened interval of demand monitoring, previously one minute - now five seconds, also allows prompt response to devices' sudden load fluctuations. Moreover, the product is now has gas demand monitoring/control functions. Collection and storage of power data/equipment operation data, demand control, etc.